I haven’t been able to be around much lately – a combination of trying to finish up projects at work, trying to finish up projects at home, being exhausted, and my computer crashing – and with the imminent arrival of YogaBaby, I’m not sure I’ll be around much for a while. But I thought I’d share some photos marginally related to yoga. Here’s a shot of my baby’s room! A room which is finished, contains no boxes or items unrelated to the baby, and has art on the walls! 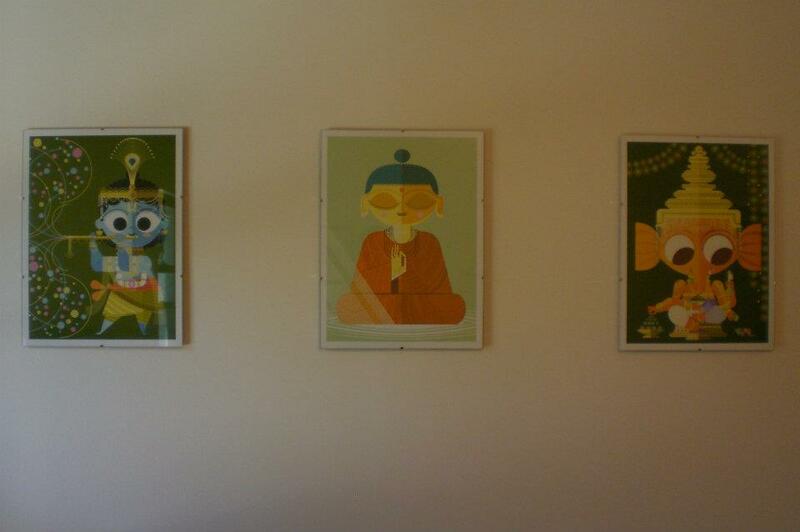 These wonderful prints are from The Big Poster Book of Hindu Deities by Sanjay Patel. The collection includes 12 prints, so I can swap in other deities as YogaBaby grows. It makes me so happy to have these guys up on the wall for my little one. A lovely room. My thoughts are with you for a wondrous birthing experience. Can’t what to see a photo of YogaBaby! Love to you all. 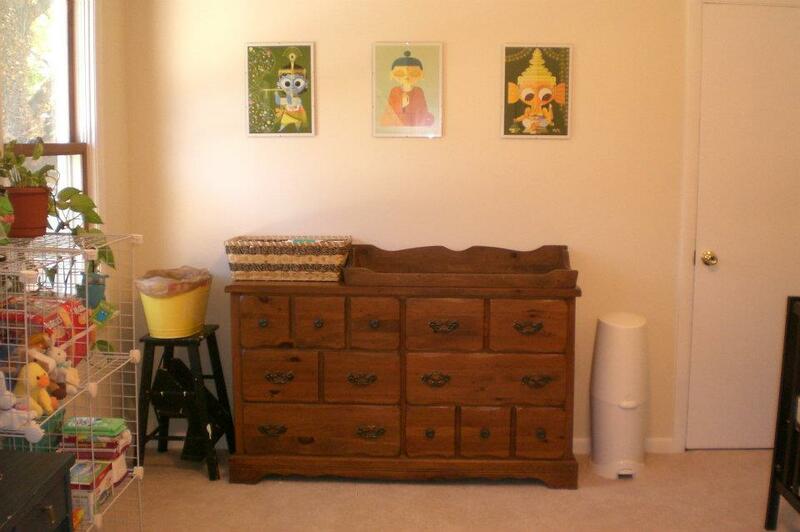 If I’m ever with child, can I copy your yogi baby room design for the nursery? I actually kind of want those prints for my room, or is that too creepy? Congratulations on the soon-to-be yoga baby! I LOVE those prints! There are several other cute ones in the set, too, and some of them (like Kali and Shiva) would also look great in grown-up rooms. 🙂 Thanks!